When in Subic…. Eat at My Mommy’s House of Kare Kare! Subic Freeport is a melting pot of diverse people – both local and foreigners love visiting Subic Freeport not just for the outlet stores of our favorite brands but also the food. From Japanese, Korean to Indian food Subic has a lot to offer. But the best is still home cooked meals prepared by our Mommy. If craving for some you can have your home cooked meal by Mommy at My Mommy’s House of Kare Kare. Its quaint design brings a very homey feel to its customers that they keep coming back for more. And being known for their Kare Kare, My Mommy’s House of Kare Kare brings you delicious Kare Kare that is so good that even without the preserved fish paste it still tastes great. If craving Italian, My Mommy’s House of Kare Kare also offers authentically made Pizza – all its ingredients are all from Italy to be true to its word and also cooked in an oven for that perfect bite. Check out My Mommy’s House of Kare Kare when you are in Subic. To know more about My Mommy’s House of Kare Kare follow them on Facebook for updates. Ever wonder what it would be like to be blind? 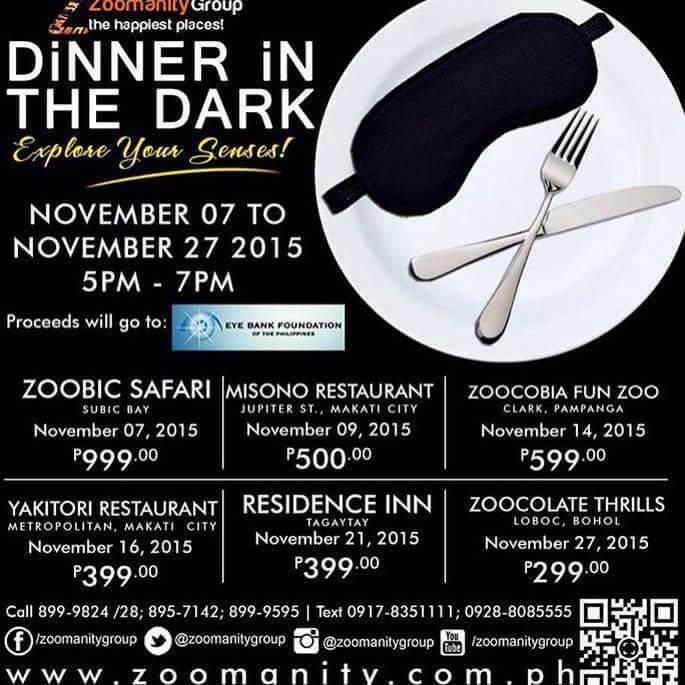 Get a chance to open your eyes with their “dark” condition at a special dinner event called “Dinner in the Dark” by Zoomanity Group.This great cause will give you a unique experience of dining in total darkness and understand how it is to be blind.This exceptional event will create awareness amongst us what it is like to lose our sense of sight and appreciate it even more. TAG Media and Public Relations handles Zoomanity Group for Marketing, Branding, Strategic Planning, Business Development, Events and Promotions. Apag is a term of Kapampangan origin which means “handaan” or where a food is laid down/ served. Marangle in the other hand means “bukid” in Kapampangan. So ‘Apag Marangle’ means kind of like “hain sa bukid” in Tagalog. Kapampangan food is one of the local cuisines here in the Philippines that is very much known to us. From its bold and savory dishes to its one of a kind dishes such as Camaru or crickets every Filipino is surely enamored by it. And Apag Marangle will surely tickle your taste buds without traveling outside of Manila for it! Located at the metro’s business hub – Makati city, they offer great deals good for the whole family. So make sure to head over at Apag Marangle with your friends and family and have a boodle fun time! Oishii! 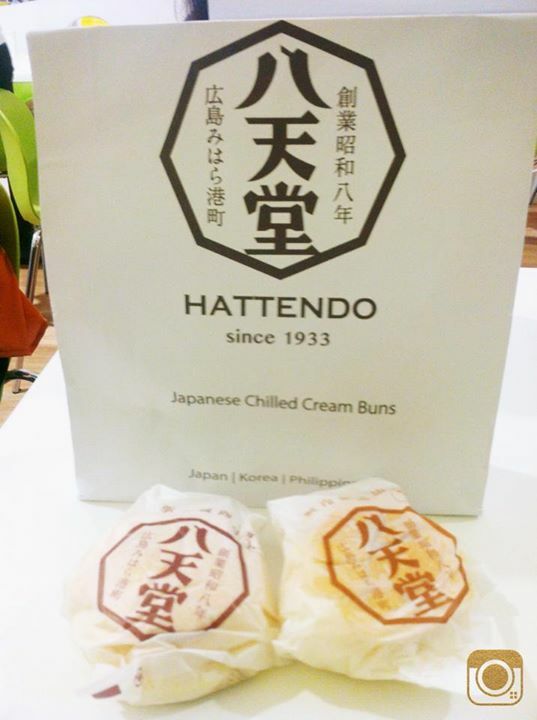 Hattendo’s Japanese Chilled Cream Buns, Now in the Philippines! Last August 27, 2015, I was graciously invited to a first-of-its-kind tasting event at SM Megamall in Ortigas by Hattendo Philippines. 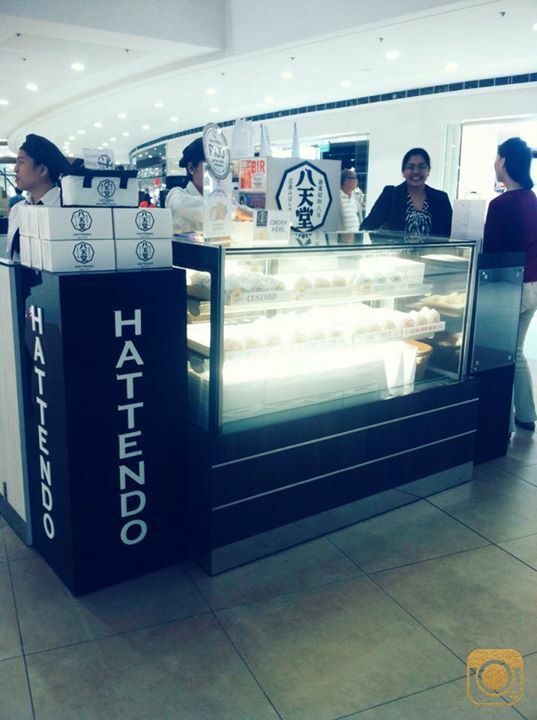 Located along the 2nd Floor of Mega Fashion Hall Bldg B, Hattendo Philippines is conveniently positioned at the center of the walkway facing Uniqlo. 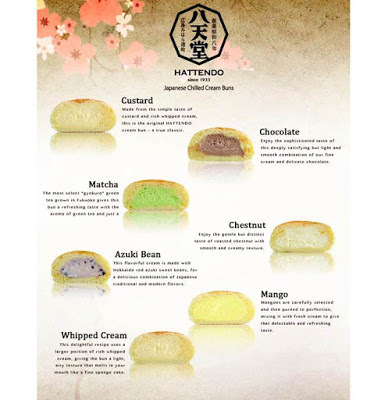 After a hearty talk about the history of Hattendo and its unique process of making Japanese chilled cream buns by the company CEO Drason T. Chen, we were given a mouth-wateringly tasty set to try out in several different flavors like custard, chocolate, Azuki Beans, Mango, among others. They said that the buns were best partnered with hot drinks like tea or coffee. Since the buns are not as overwhelmingly sweet as other to-go choices like donuts and ice cream, these can also be paired with cold drinks such as milk tea. As a delectable choice for to-go food you can eat while going around the mall or in transit, you can buy the chilled cream buns in singles and eat them while moving. However, in Japan, it is a cultural norm to stay in one place as you eat since it is socially unacceptable to consume your food while walking. I was impressed at the level of skill and craft that went into making the buns, as they were made solely by hands for safety and quality, and keeping them fresh with a set timeframe from delivery to consumption. These Chilled Cream Buns are made right in Japan and go through a very precise freezing process for international shipping handled locally by C3 Premium Partnerships, Inc. Every day at 9:00 AM, the buns are thawed and ready to be sold. These buns are good for about 24 to 26 hours if properly handled after thawing. You shouldn’t make the mistake of refreezing them but you can place them in the fridge. If you look at the back of the wrappers on each bun they curiously indicate 3 simultaneous dates. The first date indicates the time when it tastes at its best with the fullness of its flavor. Since the buns were thawed at 9:00 AM, these will be best consumed before 2:00 PM of the next day. The second date is the production date and indicates the day when the buns were made. When frozen properly and not thawed, the buns will last up to 6 months. So that leads us to the third date which is 6 months after the production date of the buns or the expiry date. In the Japanese spirit of precision and mastery, Hattendo goes through such great lengths to ensure a truly fresh food experience. The term Omiyage (お土産), in Japanese culture, is just like the Filipinos’ concept of pasalubong and the company encourages the essence of sharing with your family and loved ones. 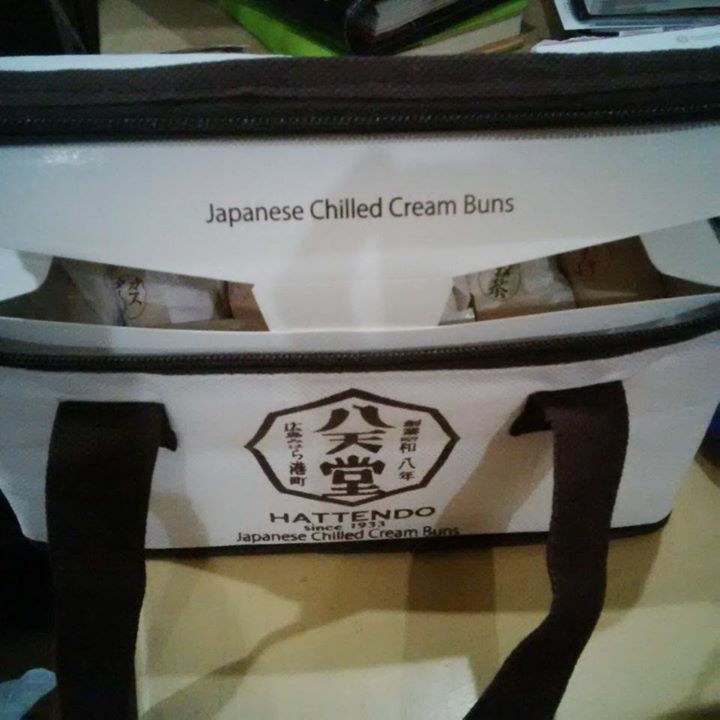 As of this writing, Hattendo here in the Philippines does not sell frozen buns. However, if you buy them by boxes of 6 and you would want to take them home as a pasalubong or gift for your family or friends, you can buy an insulator bag for only 50 pesos which comes with two jelly ice packs to keep them cold while you’re in transit. You can just get more jelly ice packs if you will take more travel time on the road. If purchased separately from the buns, these insulated bags cost 70 pesos. As the Christmas season is fast approaching, this could be the best original and unforgettable omiyage, pasalubong or gift for everyone and anyone. I’d like to go into detail about how the chilled cream buns are made, but I’m still too hyped up that the words elude me. “HATTENDO” is named after a small shrine that stood centuries in Hiroshima, Japan. Travelers used to rest at this small temple and prayed for their safety. “Hattendo” also means “Unlimited Prosperity”. Mr. Kauru Morimitsu, the original founder, believed HATTENDO should be the brand name of his new venture, and opened the very first store in 1933.